I had a lot of fun at PodCamp Toronto! Made lots of connections and got to meet a lot of on-line friends including Whitney Hoffman of the LD Podcast. The PodCamp Toronto organizers did an excellent job putting on what I observed as a perfectly executed PodCamp. For me, one sponsor stood out during the PodCamp. Molson Canadian hosted a Saturday evening party that was definitely worth remembering. 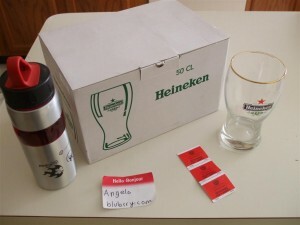 PodCamp attendees were given tickets tickets to sample from the many beers brewed by Molson Coors company. I quickly became fond of the Molson White, which I thought tasted a lot like Blue Moon. I later found out that it is Blue Moon relabeled in Canada. 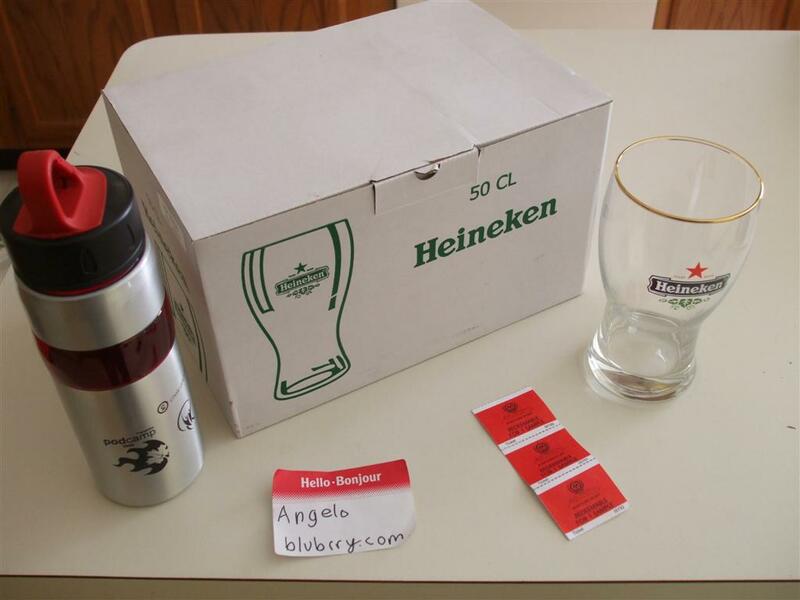 On top of the free beer samples, anyone who had a sample of Heineken received 6 free beer glasses. These are not cheap glasses either. Check out the attached photo. 3 comments on "PodCamp Toronto Recap"
Angelo, it was great to see you last Saturday at the Ram at Ryerson. Our Molson team really enjoyed hanging out with all of the terrific folks, in spite of a wet night in Toronto. It was AWESOME to finally get to meet you in person, and thank you again for the ride to the airport- it was nice to chat in more of a quiet atmosphere as well- you are a scholar and a gentleman! Hope you’ll consider going to Podcasters Across Borders! Unfortunately I will not be able to make it to Podcasters Across Borders, PodCamp Ohio 2 is scheduled that same weekend. That weekend falls between the spring and summer quarters at Ohio State. We wanted to go with that weekend rather than the 27th so it did not conflict with ComFest. ← Who Does Melanie Look Like?